Choosing the right gifts can be tricky. You hardly ever know what exactly someone wants! Don’t worry, I’m here to help. Being a merchandiser means passion for product and an eye for trends, which gives me particular insight into the kinds of gifts people really want. 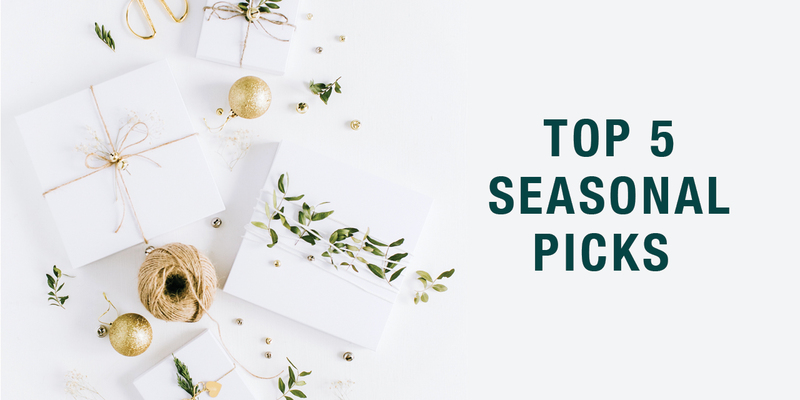 So, here are my top 5 gifting choices from this year’s Seasonal Idea Book. First up: the Kodak Instant Camera. This camera allows you to print high-quality photos, even while shooting your next memory. You can instantly print your photos in color or black and white on environmentally-friendly paper. And with convenient features like built-in flash and rechargeable battery, creating lasting holiday memories is easier than ever. Protection from the elements never looked so fashionable. The Charles River® rain coat marries utility and style. Highly visible and on-trend metallic wind and waterproof material in a flattering A-line silhouette ensures this jacket will become a staple in inclement weather. Organization on-the-go is a breeze with this backpack from trending brand Champion®, complete with a laptop sleeve, zipper compartments, mesh pockets and more. Plus, padded, adjustable straps and back offer extra comfort when carrying. Comfortable and stylish! I love this completely custom environmentally-friendly bottle! On top of being made from recycled materials, the aluminum bottle is made in zero-waste facilities in the USA. Customization is key here, with every part of this bottle being customizable, including the lid color, you can create the best representation of your brand possible. The future of LED lights is here to brighten your day. Use the fully functioning remote control to dim or brighten the 6-watt LED bulb, and even play music, with a Bluetooth range of up to 33 feet away. Find all of these awesome products and much more gifting inspiration in the Seasonal Idea Book!